The 1st Philippine Environment Summit, a celebration of the Philippine environmental movement, will be held on Feb 9 to 11 at the SMX Convention Center, Mall of Asia. The 3-day event will showcase programs and projects, as well as breakthroughs and innovations that contribute to the social and economic advancement, while protecting the environment. There will also be an exhibit area featuring eco-friendly products and services. With “Greening Together, Growing Better” as theme, the summit will feature renowned leaders of government, the church, environment, civic organizations and academia as plenary and resource speakers in breakout sessions and as exhibitors. Also attending the event are lead members of environmental civil society organizations, leaders of government and business, as well as individual and institutional environmentalists. 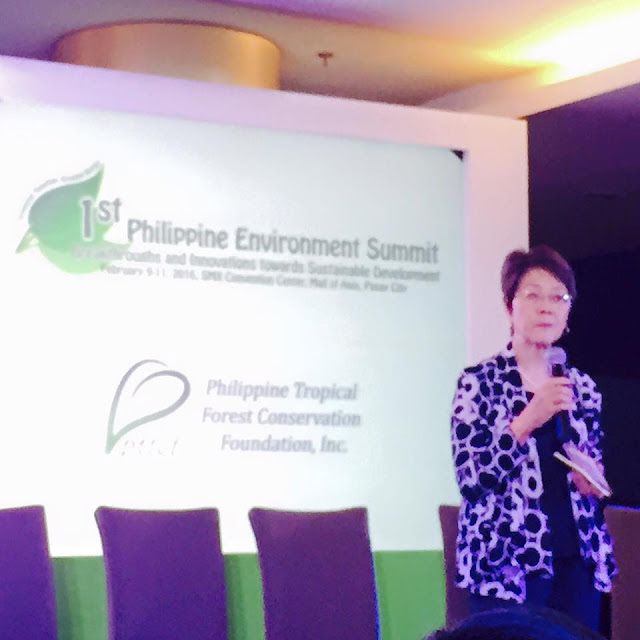 President Benigno Aquino III, Luis Cardinal Tagle, former SC Justice Reynato Puno, and internationally renowned environmental activists Dr. David Suzuki and Dr. Vandana Shiva are some of the invited speakers, while leading Presidential aspirants in the coming national elections will be asked to present their environmental agendas. 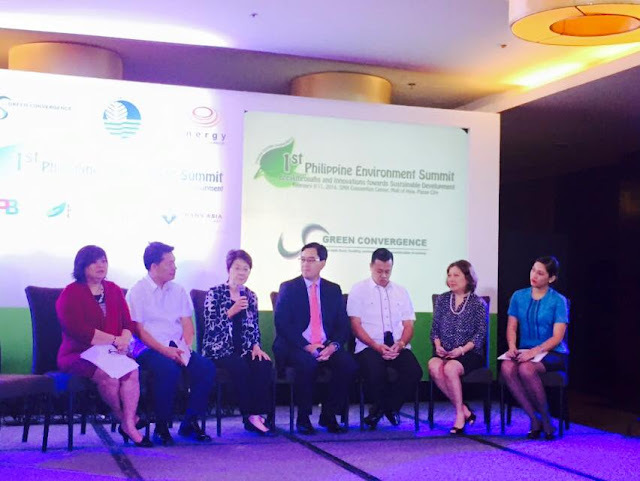 The Summit is co-organized by the Green Convergence -- a large coalition of environmental and developmental organizations, networks, faith-based groups and individuals -- and the Department of Environment and Natural Resources (DENR). Also supporting the event are the Energy Development Corporation, Tourism Promotions Board, Foundation of the Philippine Environment, PTFCF and Trans-Asia Renewable Energy. The main objectives of the Summit are to disseminate information to the public on the developments, achievements, challenges, programs and projects in relation to food safety, environment and natural resource protection and conservation and sustainable economy; strengthen and energize networking between and within the public and private sector and within and across various sectors and groups, formulate policy recommendations; and showcase convergence initiatives between and /or among government, civil society, business, and other sectors of society. 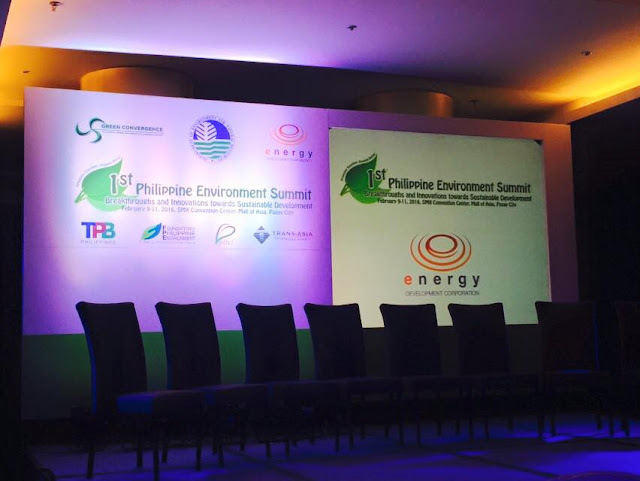 The Summit will be plenary sessions in the morning and breakout sessions in the afternoon, and a simultaneous three-day exhibit. Another highlight of the event is an awards ceremony recognizing LGU eco-champions. 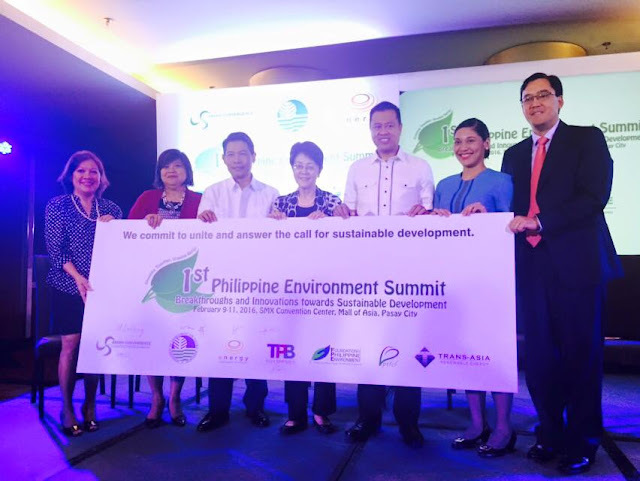 It concludes with the environment movement’s resolution for specific desired actions by the most influential sectors – government and business - that will protect the environment in pursuit of sustainable development in the Philippines. To register for participation, join the exhibits, or know more about the 1st Philippine Environment Summit, call 225 7330 or visit greenconvergencephil on Facebook.